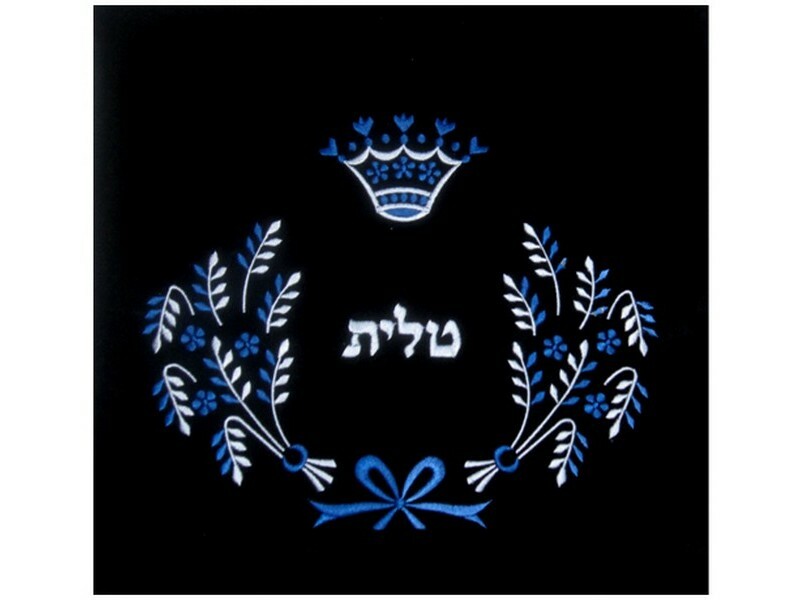 This velvet tallis/tefillin bag is decorated with the classic design of sheaves of wheat and covers a majority of the bag. The design is comprised of two sheaves of wheat, stemming from a classy embroidered ribbon-bow and forming an upward shaped arch. 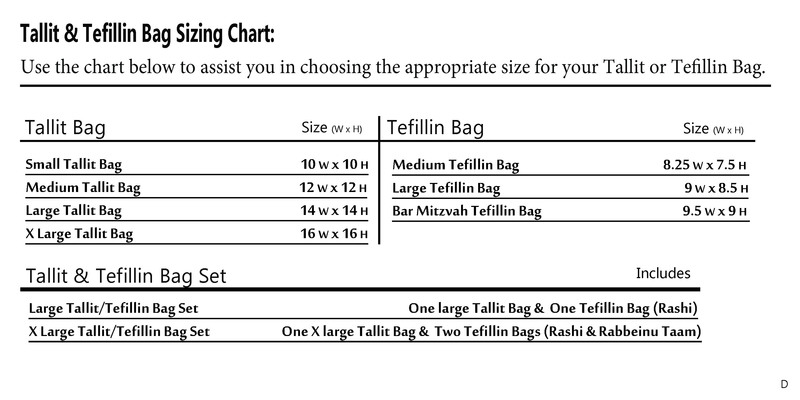 The Hebrew word “tallit” or “tefillin” is embroidered in the center of the bag, depending what size/style is selected. A crown in the center completes this pleasant design. This design is embroidered with different shades of blue colored thread.